The HawkStopper hat is great conversation starter. 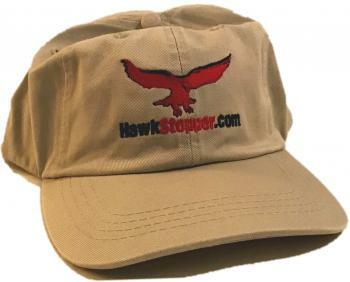 Wear this comfortable, adjustable ball cap and soon you'll be telling everyone about your chickens and how you protect them from hawks with the HawkStopper visual deflection net. Order this unisex, beige baseball cap today!